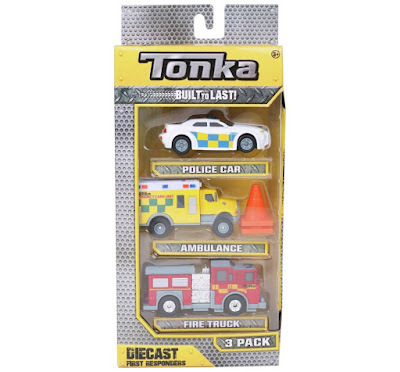 Kids can now re-create their own emergency adventures with the full range of Tonka Die-Cast. 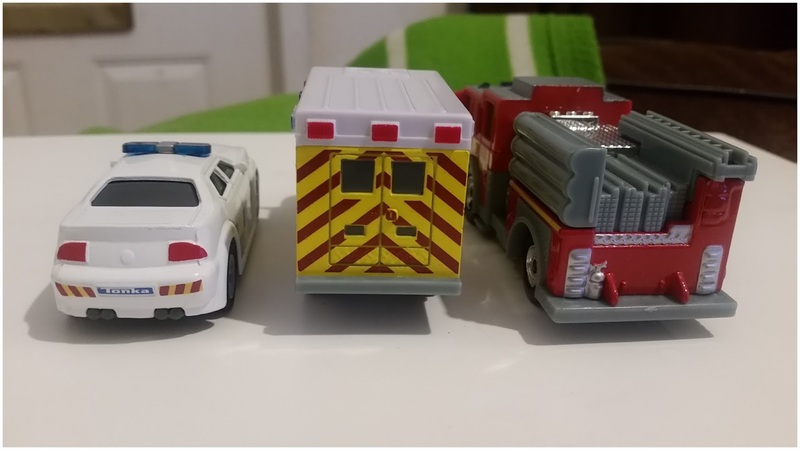 The UK Emergency range, contains an Ambulance, Fire Engine and Police Car, which echo the exact colours and markings of the real-life emergency teams! 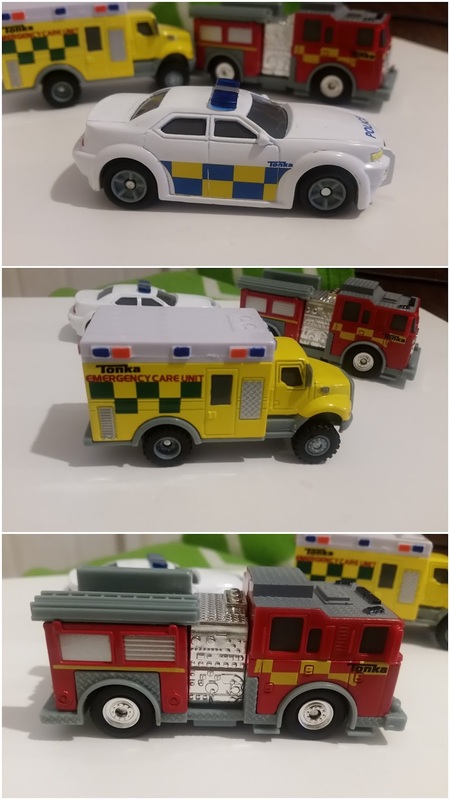 They're very collectable so kids can collect the whole fleet and stop a disaster from happening right in their own bedrooms! They may be small in size but they sure are mighty in playing power with a Tonka Tough lifetime guarantee. Tonka toys are build to last and made for getting dirty! The Tonka Diecast Emergency Three pack costs £11.99 which for a set of toys that will last a lifetime is a pretty good price. We have several of the larger Tonka trucks which Ryan loves to play with but when he saw this little set, he was so excited as now he had some that were the perfect size for playing with indoors. They're fantastic pocket sized treats. Ryan loves pushing them around on his own little adventures, well someone's got to save the town. He's pretty rough with his toys, we've had cars in the past where wheels have fallen off or whole cars have broken apart when dropped. I can happily say that these three little fellas have been well and truly tested as they've been dropped, thrown, stood on and more. All three of them are still in perfect working order and still ready to be played with. Not only are they fun to play with but they're pretty cool to look at too. When they're not bust driving around saving the town, they're parked up on the window ledge for show. Ryan is very happy with them and has great fun playing with them all so far. 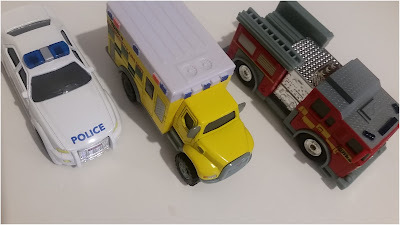 They'd make great stocking fillers for Christmas for any toy car or Emergency Vehicle lover. Disclosure: We are apart of Tonka Tough Mums, this review is one of our tasks.